(Aug 14): A national consultative committee on political funding has been formed to develop a plan to ensure transparency and governance over party funds, Prime Minister Datuk Seri Najib Razak announced today. Unveiling the panel, or Jawatankuasa Konsultatif Nasional Mengenai Pembiayaan Politik, Najib said it was a necessary move to ensure healthy politics. He said he had first mooted proposals to regulate political funding since 2009 but had not received response. "This initiative was part of the Government Transformation Programme (GTP) and under a National Key Results Area (NKRA) to create an administrative mechanism," he said at a press conference at his office in Putrajaya today. Najib said an action plan to cover political funding would be developed, and cover institutional change, monitoring, new regulations and law enforcement. It would take about a year to draw it up and would be in use before the 14th general election, he said. The next national polls are due in 2018. "At this moment there are no rules on political funding that determine whether something is wrong or right, even though there are several rules about campaign spending for elections," Najib said today. The committee will be headed by Minister in the Prime Minister's Department Datuk Paul Low, whose cabinet portfolio is governance and integrity. Another minister, Datuk Seri Idris Jala, is the committee’s deputy chairman, while its secretariat will be based at the Malaysian Institute for Integrity (IIM). Funding for the committee's work will come from the administration and integrity unit of the Prime Minister's Department. Najib said the consultative committee would invite representatives from various groups such as political parties, public intellectuals, academicians, relevant government agencies, private sector individuals, activists as well as youth. "The committee will advise the government on matters concerning integrity in politics. It will also provide a forum for its members to contribute ideas on the mechanism and model need for a system of political funding that has integrity. News of the panel today comes amid debate over political funding practices in Malaysia, which has no laws to regulate the amount of donations or disclosure of donors' identities. 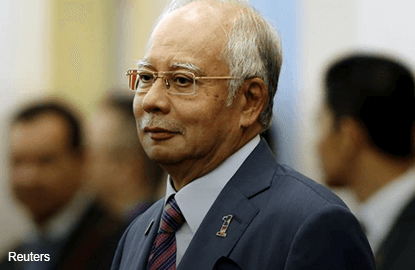 Debate was triggered after the anti-graft agency confirmed that RM2.6 billion had gone to Najib's personal accounts, which have been described as political donation. Najib and other leaders of ruling party Umno, which he heads, said that there was nothing wrong with him as party president holding such funds in his personal accounts in trust for the party.